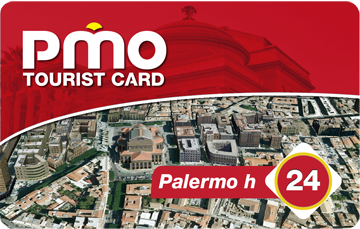 You can use all the city busses included those for Mondello beach, Santa Rosalia, Pellegrino Mountain. 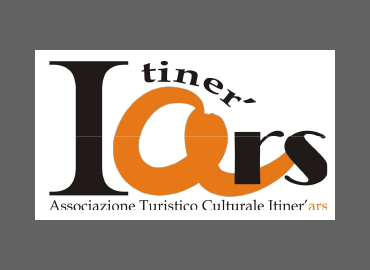 Reduced prices for the tickets of more than 35 museums and cultural sites. 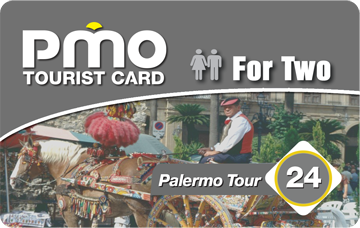 There you can find the descriptions of 4 itineraries and the locations of cards selling point . There are also suggestions about private and public transportation. 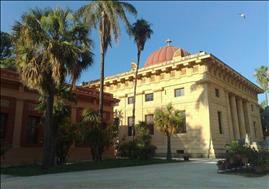 You can also find all addresses and opening and closing time of all the museums and shops in town. 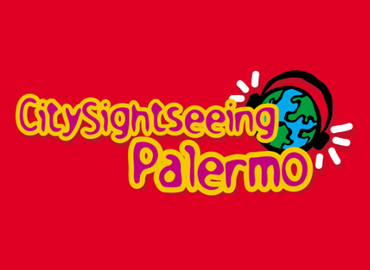 Ready to experience Palermo ! 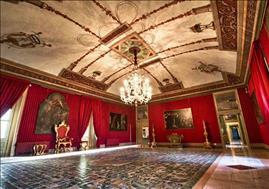 Are you planning to come and visit Palermo and Do you want to understand how is the city? 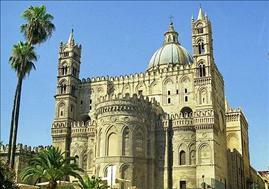 Palermo is best visited during weekdays. 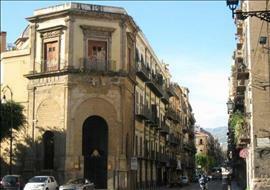 The historic center of Palermo is one of the largest in Europe. Do not worry. The urban city is excellent. 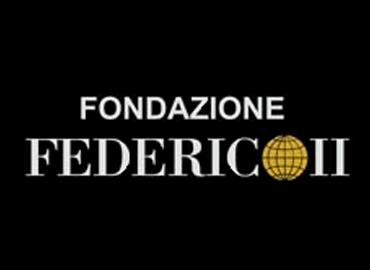 The center is completely flat and is divided into four districts where is located in the heart of the city four Corners or Square Vigliena. 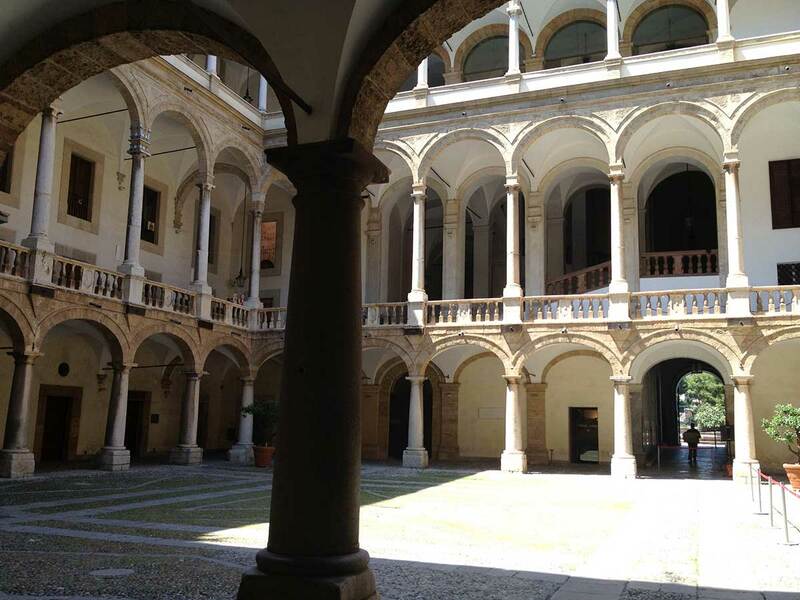 Along the axes of Corso Vittorio Emanuele and Maqueda street . 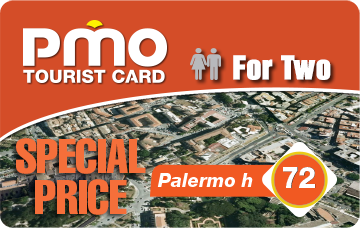 Palermo lends itself, therefore, great for walking or cycling. If you go by bike, on the other hand, it should be the ability to dodge cars, keep in the right hand and keep the bike. For motorists Palermo, notoriously, the arrows are only used by the Indians. Alloy bike right outside the goal and, even better, when you go to visit Churches and Monuments ask the caretakers to look at it or look around, it's easy to find the owner of any business, or even a valet abusive willing to give look at your two wheels during your absence. And if you offer a small reward is even better. Do not hesitate to experience the city at night. The old town is teeming with places to drink and eat well, makes friends easily, listening to good music. The cultural sites a bit 'outside the city center that you can not see are not the Zisa, Montepellegrino, the Chinese Mansion. 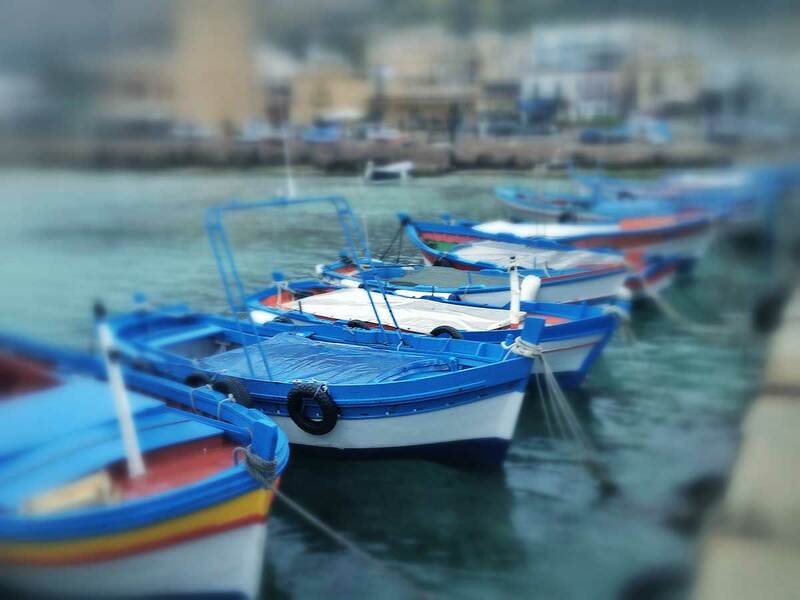 And then Mondello for the sea. 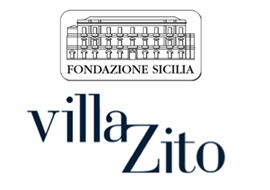 La Zisa, with a little 'good will can also be reached on foot. The Chinese Mansion is easily reached by bicycle or by public transport. Montepellegrino and Mondello by public transport or private. 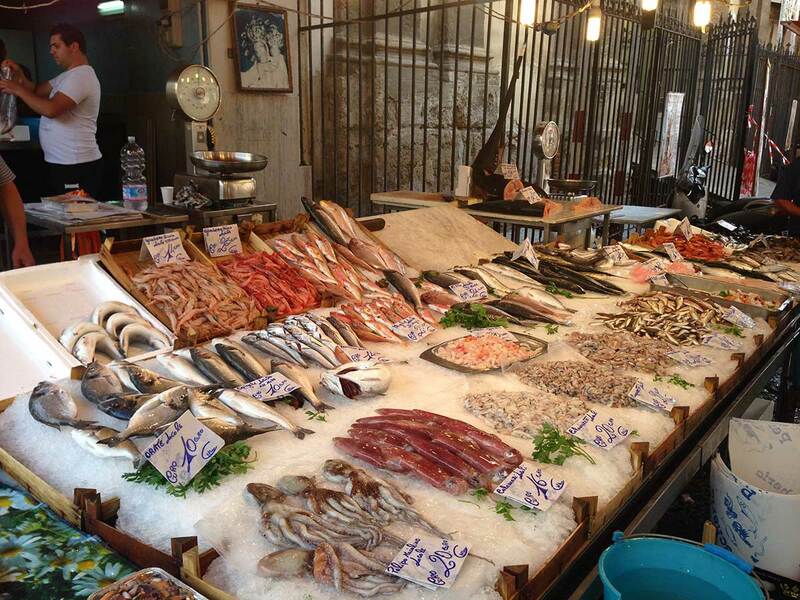 One of the many attractions are the historical Markets. The Head, Ballarò, Vucciria. The Cape is a must see during the day, from noon onwards. Bustles with stalls with all kinds of exotic food exposed, in an explosion of colors and flavors. 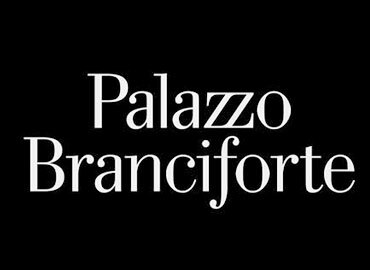 Apart from that day, Ballarò you live at night. Its square becomes the haunt of thousands of young people scattered among small and local business. The Vuccira, however, is mostly nocturnal. The term comes from the French Boucherie, but the meaning is contemporary dialect confusion. Here, too, thousands of young people gather every evening in the midst of a pit stalls who give the excellent and original street food. Here you'll find some of the answers you are looking for. A real feat for the palate and beyond. For the living room looks good B&B and Hotel. There is something for all tastes and pockets scattered in every area of ​​the center. 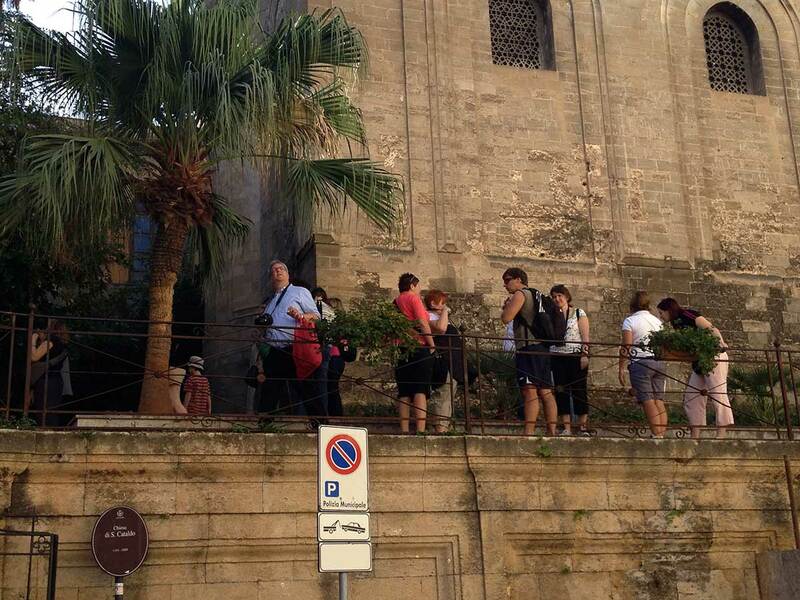 Palermo can be reached by train, by boat, by plane, by car. The central station is in the city, well served by public transport. 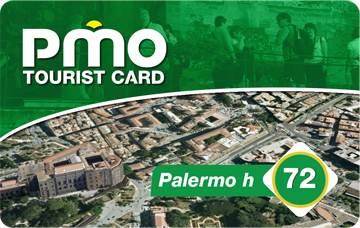 The bus 101 and 102 take you along the main street of Rome, which takes you into the center. Ships calling at the heart of the city, close to the theater. To reach your accommodation you can take a taxi or go by foot or by bus. From Piazza Politeama pass shuttles 101-102. 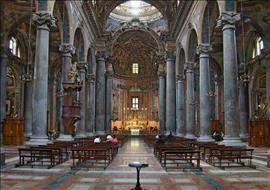 The airport is far from the city and to reach Palermo the most immediate is the shuttle bus. From four in the morning to ten at night a part of it every half hour. Journey times are on average 50min. Then there's the Metro. As a part of every hour from 5.00 to 21.00. The central station of arrival you know where it is, the starting point is inside the airport. 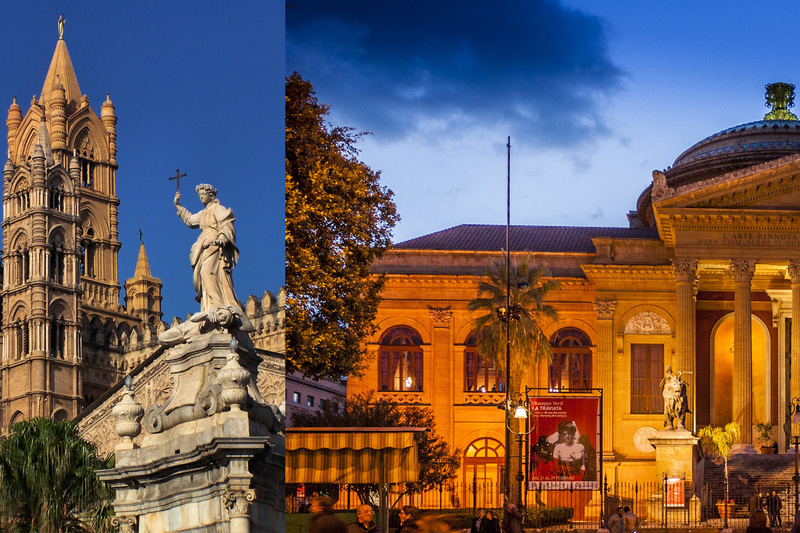 The shuttle bus instead runs off of Liberty until Politeama. The taxi ride costs an average of € 40. The private car is not advised, because there's a great car-sharing service that allows you to move around the island economically. 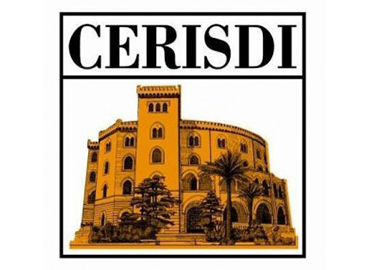 From Palermo can be reached in just over an hour's drive archaeological sites such as Segesta, Soluntum, Selinunte, Erice, Mozia Gibellina. Agrigento is needed, however, two hours. 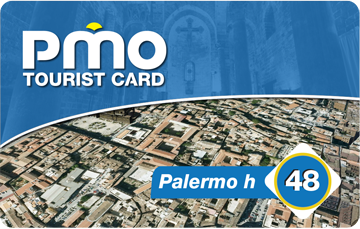 To easily visit Palermo, without spending too much and saving the inputs to cultural sites, just buy one of PmoCard, Citywalks a book with a companion and have fun for 3 hours in and around the city, even at night if you want to make the experience of nightlife. Or, to first and be really efficient, you can hire a bike with the delivery and pickup service of your hotel and go around accompanied by your guide. 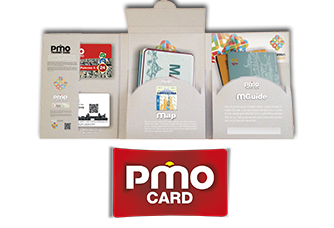 Finally, if you want the sea, including the services of pmocard there is the beach at Mondello and the excursion by boat on the Gulf. Seeing is believing.